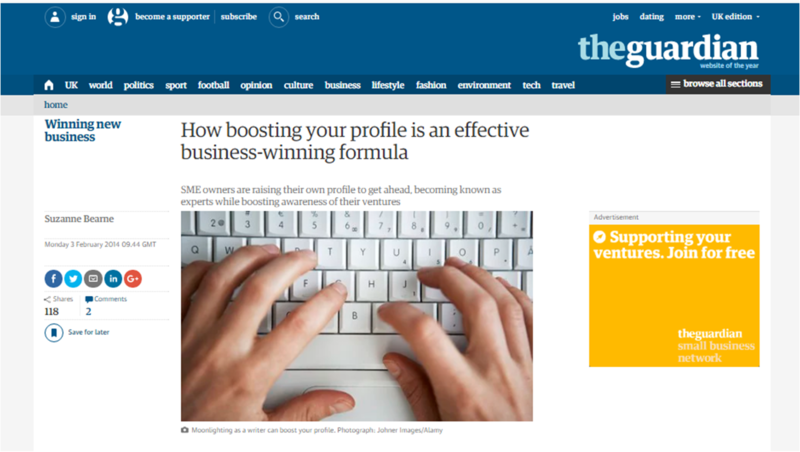 The Guardian’s Small Business Network editor Suzie Bearne interviewed Christina as part of an expansive piece on profile building for small businesses. With a B2B business or expert-led B2C business the founder or owner’s expertise can be a vital ingredient to building brand credibility and increasing brand awareness. See all the tips in this piece here.